As our own way of giving back, we will match your donations up to the first $500 through September 19, 2017. So, if you have a few bucks so spare, please consider giving to this worthy cause. Our fundraiser has drawn to a close and we managed to raise $44,278 dollars to support our volunteer firefighters. What began as a humble effort to raise $5k has become so much more. This outpouring of support and generosity won't soon be forgotten. Thank you, from the bottom of our hearts. It's the last day of our campaign! 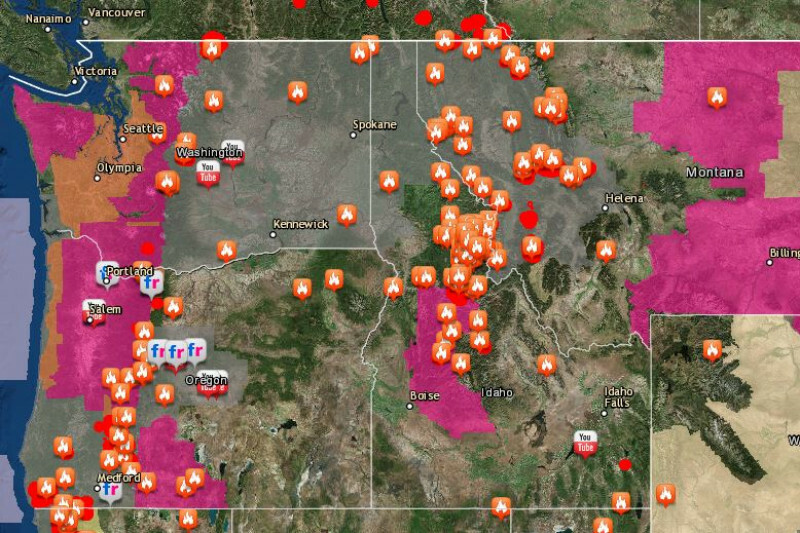 We are so grateful to everyone who has given, shared, and supported the wonderful folks fighting these fires. As the rain moves in, we can't help but feel blessed. We will send final updates tonight when the campaign closes. Thank you, from the bottom of our hearts! As of this morning, we have raised $37,240! We still have one week left. Do you think we can get to $45,000? We believe! Thank you so much for your generosity and for sharing the campaign with your networks. Truly, we are over the moon! We are so close to our goal in Washington! If you haven't had a chance to share the campaign on your personal pages, we would love it if you did! $880 to go!